For the last couple of years, the Minnesota Fathers and Families Network has been helping dads "help themselves, their kids and their communities." The network is already planning its Fall Fatherhood Seminar Series, which will be held throughout the state. In west central Minnesota, the first seminar, "Counting and Serving Never Married Families," will be held Tuesday, October 23, 1:00 - 4:00 p.m. at the Family Service Center, Meeting Room 4, 715 11th Street North, Moorhead. It's particularly for professionals who are interested in promoting healthy fatherhood among never-married parents. 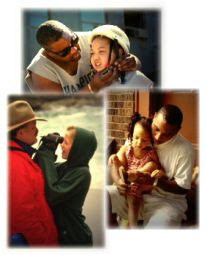 Check out the mnfathers.org Web site, or email for more information.